hey, folks today we collect the information of app to create the virtual cards.some of them provides the physical cards I also got 2 cards for free. and all other working fine online.we tested almost all apps or websites for virtual debit card.paytm as leading partner of online stores has not launched virtual card .some of them provide visa virtual card and other provide MasterCard virtual card.This virtual card also works for online credit card transactions. 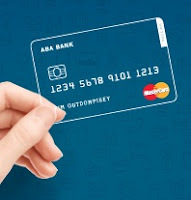 virtual credit or debit card are used on a untrusted website or on the app for security purposes.these cards are temporary card use them and destroy them.the virtual card is useful for transactions on untrusted websites and your original card is not stored anywhere.you can add money in virtual according to the need.